What a weekend it's been! ....Well, actually what a week! 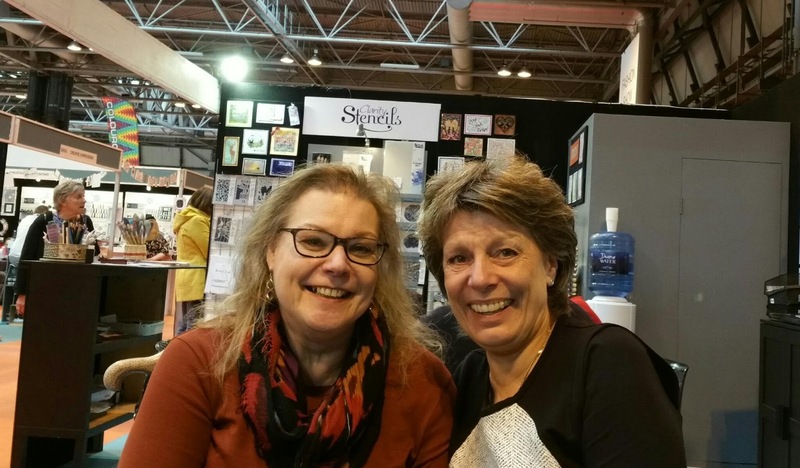 3 days in the West Country at Craft4Crafters and we saw so many friends and regulars at the show, what a great time! Thank you all for coming to see us and buying your crafting goodies. My back finally gave in and Steve, bless him, pushed me round in a wheelchair for most of the time but we managed and we had some lovely new products that I was demonstrating and we had a complete sell out of the Gansai Tambi Starry Colours and the Wink of Stella. Don't worry though, as soon as they are back in stock I will let you all know, along with some brand new items too. No time to go home, we ploughed on up to the NEC in our van for the only UK trade show of the year. We had a very important connection to make and I'm so pleased we managed to get there. You already know Barbara Gray (Clarity Stamps) has done such a marvelous job expanding the parchment world with her Groovi Plate System, and maybe you didn't know that she now also owns Pergamano.... what a match! 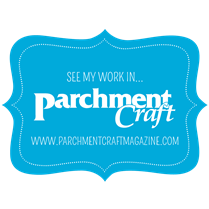 So, for us as leading parchment specialists it was really important that we made a connection so we can all work together and help bring the parchment world even closer. What a lovely, generous lady and a such great team too, we sat together and chatted over coffee and laughed just like old friends. We are so looking forward to this venture with Barbara and her team and they have made us feel so welcome......watch this space! We are home now, there's nothing quite like your own bed is there! Hiya Hilary. Sorry to hear about your back. Glad that the shows all went well for you. Isn't Barbara lovely. I am very proud to be on her team. And very proud of what she and Clarity have achieved. I hope you are well enough to make it to the SECC this March....but don't push yourself. It would be lovely to catch up. HI Hilar Sorry to hear of your pain. Vat this is just fantastic news..waiting to see what happens next. Team Clarity are all just lively people. Even Storm Doris Didn't stop the Show!